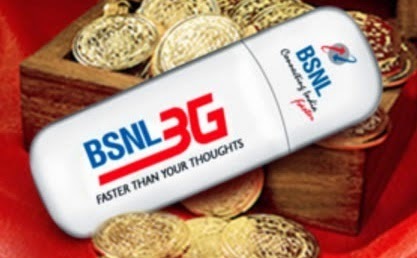 BSNL Offers the Best & Cheapest 3G Mobile Internet Packs : What do you think ??? The entire telecom industry has been struggling with tariffs at the rock bottom and OPEX inflating month on month. Almost all Telecom operators have started increasing tariff and no one appears to be considering reduction in prices of Voice and Data packs. However, in case of BSNL, Mobile Internet Data STVs are comparable or cheaper than that of any other private operator. BSNL has the largest 3G coverage and is continuously expanding its network in unreached areas all across the country. Let us take a look at below mentioned figures that how private telecom operators offer 3G mobile internet data packs with significantly increased tariffs. "It can be seen that the prices offered by BSNL for 3G DATA packs are the cheapest in the industry and we have the largest coverage and free data roaming all across the country." From the above figures, we can definitely say the Data Plans offered by BSNL are the cheapest and most affordable when compared to all other private operators in the market. How many of you are currently using BSNL 3G for internet and how do you feel about their data services. Please comment your opinions and views.